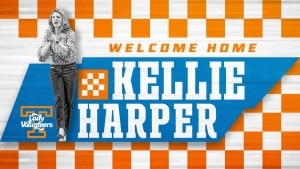 KNOXVILLE, Tenn. — University of Tennessee Director of Athletics Phillip Fulmer announced Tuesday that 1999 UT graduate and women’s basketball standout Kellie (Jolly) Harper has been chosen as the new head coach of the Lady Volunteers. She will be formally introduced at a press conference on campus Wednesday. The university and Harper have agreed to a five-year contract with annual compensation of $750,000 per year. “I’m excited to have Kellie as our new women’s basketball coach,” Fulmer said. “She is a Lady Vol through and through. Her love of the game, her care and love for her players, and her loyalty to UT all came through during the interview process. Harper becomes only the third Lady Vol head coach in the NCAA era of women’s basketball. She will take the reins at Tennessee after six years of leading the Missouri State Lady Bears, capped by this season’s impressive march to the Missouri Valley Conference Tournament title and magical run to the NCAA Sweet 16. A native of Sparta, Tenn., Harper played point guard for the legendary Pat Summitt at UT from 1995-99, starting 132 games and helping the Lady Vols win NCAA National Championships in 1996, 1997 and 1998. She was part of a senior class that helped the Big Orange forge a 131-17 overall record as well as win two SEC regular season titles (1998, 1999) and three SEC Tournament crowns (1996, 1998, 1999). One of only 11 women’s hoops skippers to lead three different schools to the NCAA Tournament, she has directed her teams to 12 postseason berths in her 15-year head coaching career. Harper guided Missouri State to NCAA appearances in 2015-16 and 2018-19 with WNIT berths on three other occasions. She also led North Carolina State to the NCAA Tournament in 2009-10 (plus two WNIT appearances) and guided Western Carolina to NCAA berths in 2004-05 and 2008-09 (plus two trips to the WNIT). Harper owns a 15-year head coaching record of 285-208, including five NCAA Tournament appearances and seven WNIT berths in that span. In 24 seasons as a Division I head coach, assistant coach or player, Harper has made 20 postseason appearances with a combined 533-261 record, 13 NCAA Tournament appearances and seven WNIT bids. She recorded a 118-79 won-lost record at Missouri State, claiming Missouri Valley Conference Tournament crowns in 2016 and 2019 and notching regular-season runner-up finishes in 2015-16, 2017-18 and 2018-19. This year’s squad improved measurably as the season progressed, resiliently overcoming a 1-7 start to post the program’s best overall record (25-10) since 2004-05 and its top league mark (16-2) since 2003-04 with a 24-3 run over the final 27 contests. The Lady Bears finished No. 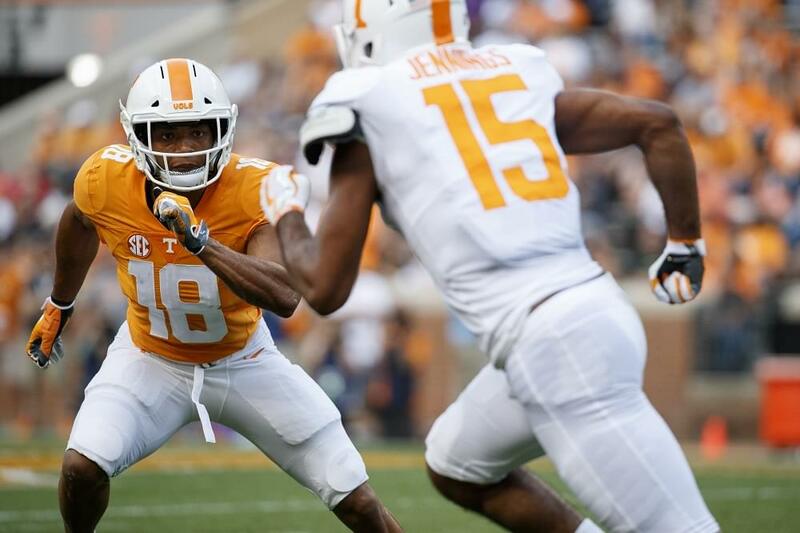 24 in the final USA Today Sports Coaches Poll, which was their first national ranking in 15 years. Harper was named the Missouri Valley Coach of the Year and also was chosen as the 2019 Kay Yow Coach of the Year. That award is presented annually to the Division I women’s head coach who embodies a winning spirit while displaying great character, on and off the court. Harper took over a MSU program that was coming off a 14-17 overall mark and 6-12 league mark in 2013-14. After a 14-17/8-10 slate in her first season in Springfield, the Lady Bears never finished lower than third in the league standings and made the postseason every year. Three of her last four editions surpassed the 20-win plateau. Her final Lady Bears team developed into her best one with a late season spree that included victories over No. 21 Drake, No. 24 DePaul and No. 13 Iowa State and a nine-point loss to sixth-ranked Stanford in the Sweet 16. Harper’s 2018-19 squad featured only one senior and included 11 freshmen or sophomores on the 14-player roster. In addition to making the NCAA Tournament this season, Harper took Missouri State back to the NCAA Tournament after a decade absence in 2015-16, guiding her third MSU squad to an MVC Tournament title and 24-10 overall record. Her program also defeated SEC programs Missouri (twice), Arkansas and Ole Miss during her time at MSU. Prior to her arrival at Missouri State, Harper became just the third women’s basketball coach in North Carolina State history in 2009 and directed the Wolfpack to three postseason appearances and a 70-64 record during her four-year stint at the helm, including the 2010 NCAA Tournament. NC State joined Tobacco Road rivals Duke and North Carolina as the only Atlantic Coast Conference teams to score wins over the league’s other 11 teams during that span and earned six top-25 victories in four seasons. Prior to her tenure in Raleigh, Harper piloted Western Carolina to a 97-65 record and four postseason berths in five seasons, including a 70-31 mark her final three years in Cullowhee. The Catamounts captured the first two Southern Conference (SoCon) Tournament titles in school history while seven student-athletes captured all-conference honors during her tenure. She earned 2007 SoCon Coach of the Year accolades and placed her squads in the WBCA Academic Top 25 on three occasions, including a fifth-place finish in 2007-08. Before her first head coaching job, Harper spent three seasons as an assistant coach at Chattanooga, helping the Mocs to three consecutive Southern Conference championships, three NCAA appearances and a combined 78-15 record under head coach Wes Moore. She tutored four all-conference guards while at Chattanooga, including the 2004 league player of the year. Prior to her time in Chattanooga, Harper spent two seasons at Auburn, the first as an administrative assistant before being promoted to assistant coach under Joe Ciampi for the 2000-01 campaign. As a college player, Harper was part of a women’s basketball dynasty at Tennessee. As a junior, she guided the Lady Vols to a 39-0 record and their third-straight national championship, averaging 7.6 points and 3.8 assists for the season and scoring a career-high 20 points in the national title game against Louisiana Tech. She went 4-of-5 from beyond the arc in that contest and was named to the 1998 All-Final Four Team. Harper set an NCAA championship game record with 11 assists and dished out 20 helpers in two games for All-Final Four honors in 1997 after returning from a knee injury midway through her sophomore season. That year, the National Strength and Conditioning Association named her its Strength and Conditioning Female Student-Athlete of the Year. For her Tennessee career, Harper scored 894 points and had 452 assists, leaving UT on the school’s career top 10 lists for assists, assist average, 3-point attempts and 3-point percentage. She still ranks seventh in career assists and is 10th in 3-point percentage (.364, 99-272). Harper was drafted by the Cleveland Rockers in the fourth round of the 1999 WNBA draft and earned her degree in mathematics that same year. She was a three-time SEC Academic Honor Roll member and earned both All-SEC Coaches Second Team and honorable mention All-America honors as a senior. She also was named to the SEC Community Service Team as a senior. She played for her father (the late Kenneth Jolly) at White County High School in Sparta, Tenn., and was a five-time All-American during her AAU playing career. She was inducted into the UT Athletics Hall of Fame in 2009 and White County High Hall of Fame in 2012. 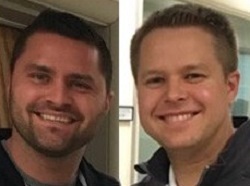 Harper is married to Jon Harper, who served on her coaching staff at Western Carolina, NC State and Missouri State. The Harpers welcomed their first child, son Jackson, in November 2013, and had a daughter, Kiley, in June 2018.